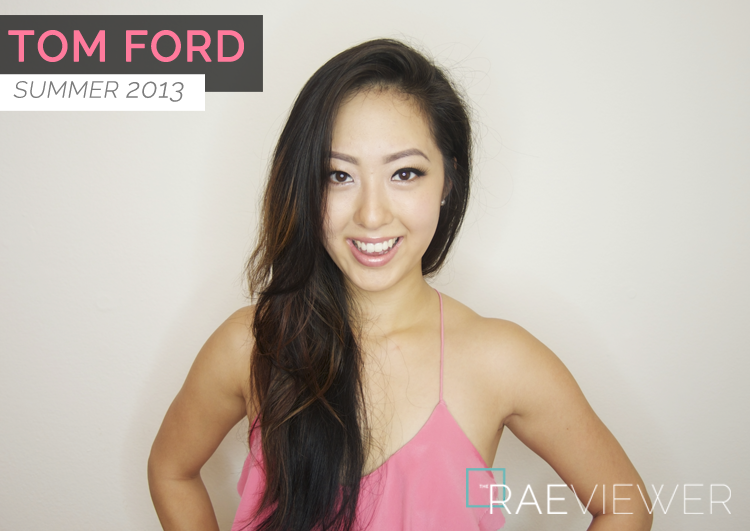 Many thanks go out tonight for all those who have patiently awaited the release of my Tom Ford Summer 2013 Makeup Review and Tutorial video! This is not the traditional heavy false lash and deeply contoured makeup look that I tend to wear in my videos, so I hope this (brief) departure will be welcomed by most of you. The colors of the products used in the video below can be built up. I, however, chose to wear them subtly because I wanted to emphasize the glowing nature of the emollients. This collection is very special because it is wearable yet unique. I hope you will agree! Tom Ford says that he had one goal with this collection. He "wanted to capture a very particular look of skin that is bathed in sunset light in the summer. It is a sultry and sublime glow. In this light, every woman looks irresistibly relaxed and sensual." I love ethereal glows without apparent shimmer, so I had high expectations for these new products (the Illuminator in particular). Please see individual product reviews and all swatches HERE! Hi Rae~ I have been loving your tutorials!!!! I have been deciding whether to buy the becca, d&g, cle da peau or the new channel powder foundation! I have oily skin and My skin is very sensitive. I like something that's not too much that gives a subtle and clean look. Because I can't try the products myself so I thought you could give me some suggestions as to which one should i wear as a foundation and for touch ups? Also i own the hourglass immaculate liquid powder foundation ! And i loved it !!!! However the tom ford matt liquid foundation looks great! Is it for people who have oily skin? Does it last longer than the hourglass? Thanks! !